The date on the cover of this newspaper, Sept. 14, 2015, is significantly different than the date every American remembers, Sept. 11, 2001. 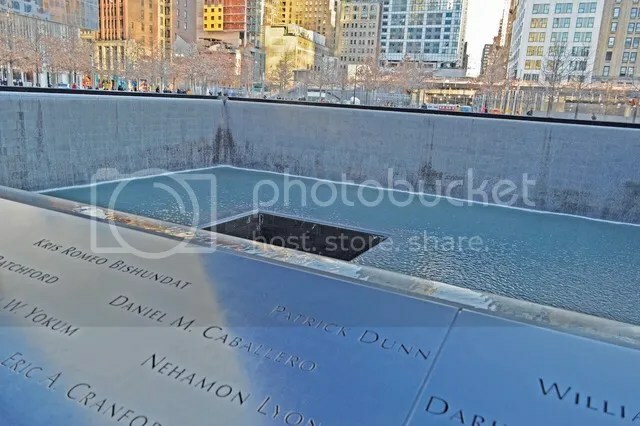 The 9/11 memorial in New York City offers visitors a place to reflect on the events of that day. If you were old enough, you remember where you were and what you were doing when you heard the news. This day impacted our national psyche that only few events in our history have managed to. Yet, the staff editorial focused on the anniversary of this event three days late, why? Strangely enough, that’s exactly the point. Events like Sept. 11 and their subsequent anniversaries serve as a day to remember, reflect and understand what has happened since then. They serve as a time to come together, step away from the chaos of our daily lives and recall the fact that, in spite of everything that divides us, we are still human. For one moment of silence, one prayer, one memory, we are united. But what these days don’t do is serve as an excuse to forget the tragedy every other day of the year. The impact of that day is felt on the other 364 days of the year, not just Sept. 11. The impact is felt in December, March, June and on Sept. 14. There is one other thing that these days of remembrance don’t mean. It isn’t always a time to be sad. There is a time to be sad, without a doubt. But there is also a time to reflect on how we, as a country, have grown and changed since then. It becomes more about honoring those who gave their lives and understanding the positive impact they left on us. National tragedy shouldn’t be the only reason we come together as a nation. We need to find events other than tragedies to bring us together. We need to be supportive and encouraging of one another every day and to everyone. We must remember these events. Not just when the anniversary comes around or when we feel like it. Because after all, these events don’t happen when we feel like it.